Reaching a Goal before September! "Buy me a coffee!" because there is no app for "buy me an ice cream" instead. 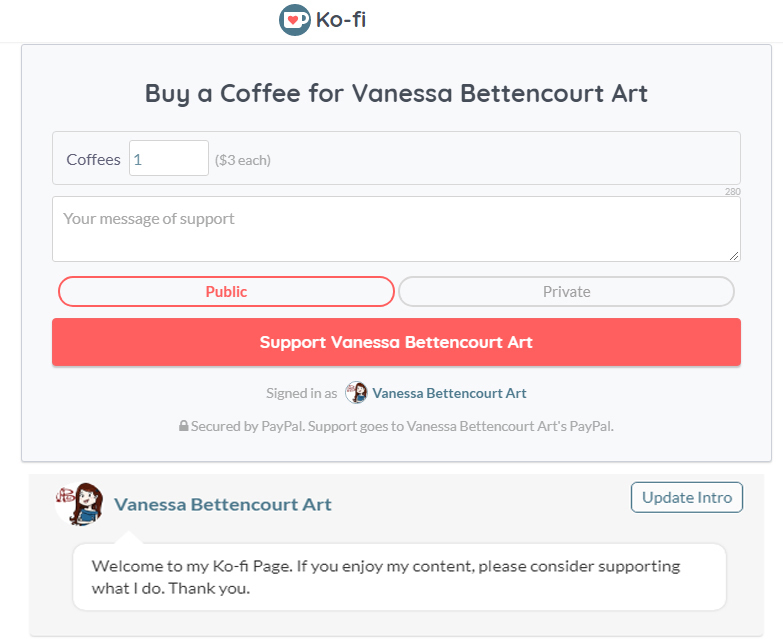 I have to thank the team of "Buy me a coffee" for giving artist and fans a secure and easy way of supporting out art. With just a simple button have the option of sending me $3 to my PayPal. This motivates me and shows I deserve a coffee for my efforts so far : D Thank you! A special thanks to the people who since last Friday used the app and helped me to come closer to my goal. 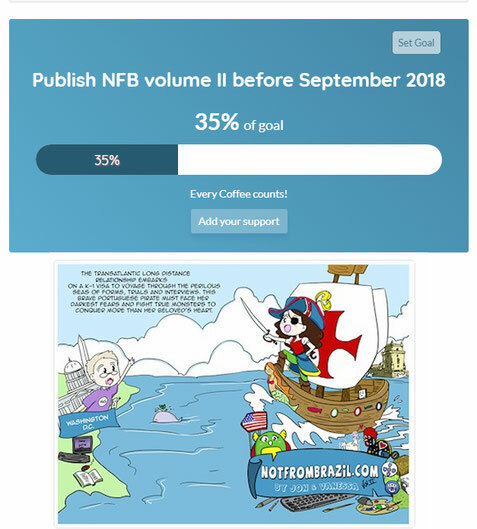 If I meet my goal soon, I will publish Notfrombrazil Volume II earlier than Summer. YAY! All with your help I can also continue to post longer free episodes on notfrombrazil.com official website. A good way to celebrate 3 years of 500 free webcomic episodes so far.